Highly pathogenic avian influenza (HPAI) was first reported in Africa in 2006 but the number of reported outbreaks in poultry started to rise in 2015 with a sharp increase in 2017 – from just 2 reported outbreaks in 2013, to 71 reports in 2015 and 216 in 2017. The vast majority of Africa’s poultry are in small backyard, village and semi-commercial flocks, although these often coexist alongside large, ultra-modern poultry farms, making effective control of the disease very difficult. The situation is exacerbated by technical, logistic and financial challenges facing most African countries. Maintaining ongoing disease surveillance, ensuring effective biosecurity and movement control measures are in place to prevent and contain outbreaks, and undertaking effective culling, decontamination and restocking operations when outbreaks occur are all an ongoing struggle. Since 2006, the H5N1, H5N2 and H5N8 strains of HPAI have been officially reported in Benin, Burkina Faso, Cameroon, Côte d’Ivoire, Democratic Republic of the Congo, Djibouti, Egypt, Ghana, Libya, Niger, Nigeria, South Africa, Sudan, Togo and Zimbabwe. In addition, the H7N1 strain has been reported in Algeria in 2016 and 2017. During 2017, strains of HPAI were confirmed in 12 African countries spanning North, West and Central, East and Southern Africa. Confirmation of the H5N8 strain in Uganda in 2017 is the first confirmed case in East Africa representing a potential threat to the large poultry industry in the region. In Egypt, the World Health Organisation (WHO) reported that one person died as a result of infection with HPAI (H5N1) in 2017. Previously in Egypt, over 120 people have died from H5N1 with the peak occurring in 2015. The disease is considered to be endemic in the country’s poultry flocks. Other than Egypt, fortunately there have been no other reported human deaths due to HPAI in Africa since 2007, when a single case fatality was reported in Nigeria. In addition to threats to human life, these HPAI outbreaks have resulted in significant losses due to poultry deaths, culling and impacts on trade, and unquantified impacts on people’s lives and livelihoods. During 2017, South Africa was particularly severely impacted by HPAI. Outbreaks of the H5N8 strain were reported in commercial chickens, commercial ducks, ostrich, wild birds and in hobby and backyard poultry throughout the country, including Eastern Cape, Free State, Gauteng, Kwazulu-Natal, Mpumalanga, North West and Western Cape. In the Western Cape, more than 2 million birds have been killed or culled due to HPAI during 2017 with the economic impact estimated to exceed R800 million (USD 70 million). With the exception of Egypt, vaccination is not currently allowed against HPAI in any African country. Algeria, Tunisia and Morocco vaccinate against low pathogenicity avian influenza (LPAI) to protect breeders and commercial layers. There are also reports that, unofficially, vaccination is being used in another country’s commercial poultry sector against LPAI – vivid evidence of farmers’ disarray in the face of avian influenza. Control of HPAI in Africa depends largely on surveillance and biosecurity and, in the event of an outbreak, movement controls, quarantine, culling and decontamination. In October 2017, Reza Bentaleb, Africa Poultry Business Unit Manager, took part in Poultry Africa 2017, an expo and leadership conference, held in Kigali, Rwanda. There he shared Ceva’s insights into the changing face of avian influenza and the role that new vaccine technology could play in being part of the solution for Africa’s poultry industry, if this approach was officially sanctioned. Avian influenza has changed during the past few years. It is now caused by more types of virus and is present in more countries. The risk is much higher than before, so now is perhaps the time to discard old dogmas and adapt to the new situation. 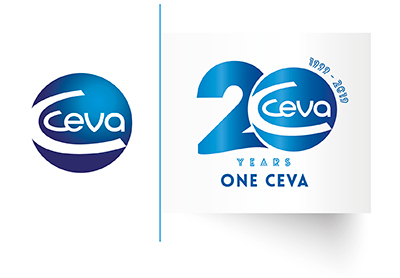 Ceva’s new generation vector vaccine – Vectormune® AI – offers real advantages over previously available inactivated whole virus vaccines. It provides strong protection against a wide variety of H5 type HPAI viruses, overcomes maternally-derived antibodies and so can be reliably used in the hatchery.